'The Monuments Men' actor - who split from Stacy Keibler in July - has learned to laugh off rumors propagated on the internet about his sexuality because he doesn't want to offend the gay community by making a public denial. 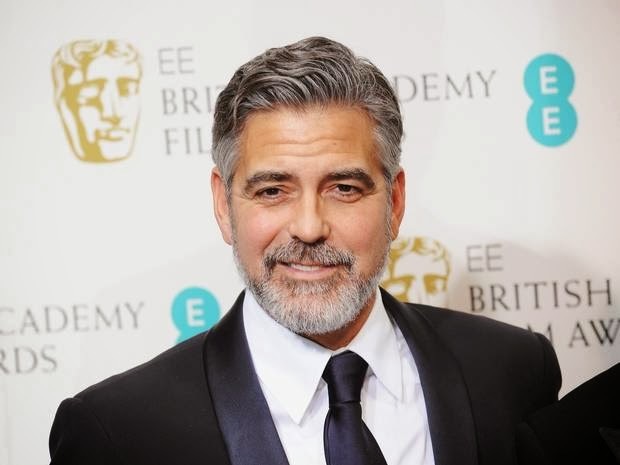 Recalling the most exaggerated rumor he's ever read, he told the new UK issue of Esquire magazine: "[A headline read] 'George Clooney's gay-gay-gay.' And I said, 'I'm gay-gay. The third one's pushing it.' Well now, [according to the internet] I'm gay. You're not going [to deny it] because that's flat out insulting to the gay community." The 52-year-old star also joked about one memorable TV appearance when he was asked whether he had ever had plastic surgery and he replied he had once ironed his testicles. George moaned: "So now, long after I'm dead it'll be, 'George Clooney had his balls ironed.' "
The Hollywood heartthrob also touched upon his days as a journalism student when he was more interested in booze and living-it-up in nightclubs than his work. "I would go to class, but really enjoyed going out in the night a lot more. I was not a good student."